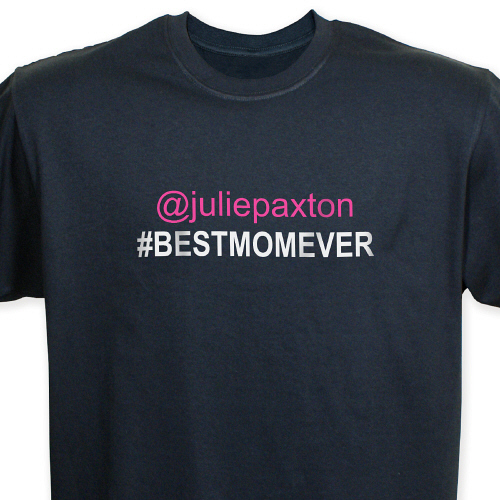 Mom will feel hip and caught up with the world of social media with great Personalized T-Shirts like this! 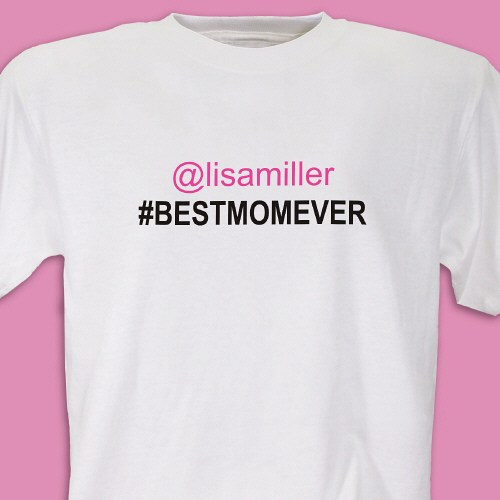 Let her know she's the #BESTMOMEVER with this fun Mother's Day T-Shirt. This great design is available on our premium, preshrunk 100% cotton Personalized Shirt, machine washable in adult sizes S-3XL. Free personalization of any name is included. Additional Details Outfit all the special ladies in your life with fun and eye-catching apparel for her. 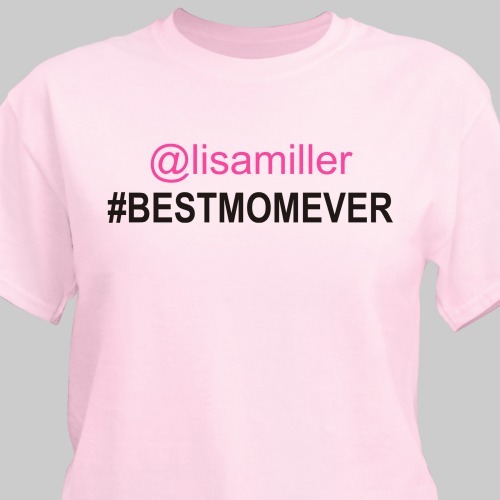 Personalized apparel makes the best gifts for anyone on your shopping list.